Three Cedars Press, 9780986917189, 308pp. An unscrupulous prospector promises John Granville a fortune to find a gold mine that legend says is protected by more than secrecy. Torn between his pledge to find a missing child and his vow to redeem his late client's promises, Granville finds himself targeted by murderous claim jumpers who want the mine-if it even exists-for their own greedy purposes. Meanwhile Granville's engagement to Emily is bringing them too much attention, of the lethal kind. In this sequel to the critically acclaimed THE SILK TRAIN MURDER, gentleman-adventurer Granville and his fiancee-or is she?-the feisty Emily Turner get drawn into a search for a legendary lost gold mine. Fraud and double-dealing lead them ever deeper into trouble. Only Granville's quick thinking and quicker action can save them and those they care about. THE LOST MINE MURDERS takes place in Vancouver and Denver in the winter of 1900, linking back to the Klondike Gold Rush of 1898. 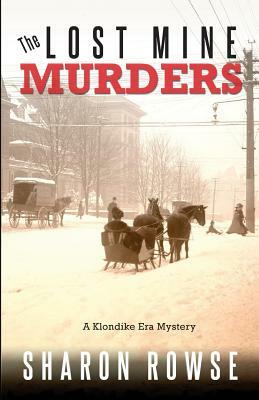 This is the second book in the Klondike Era Mystery series, though they can be read in any order.